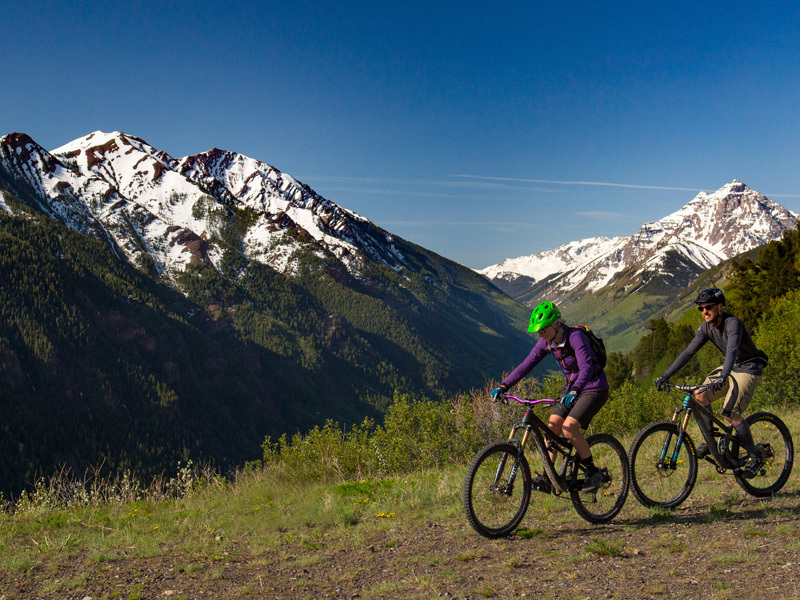 Aspen Snowmass is the ultimate playground for all types of bikers. 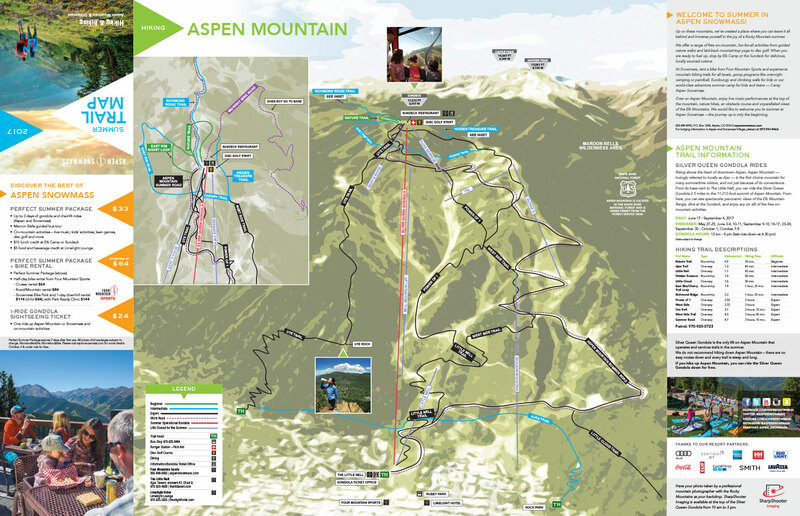 With an abundance of road and cross country trails on offer Aspen is also home to the Snowmass Bike Park. 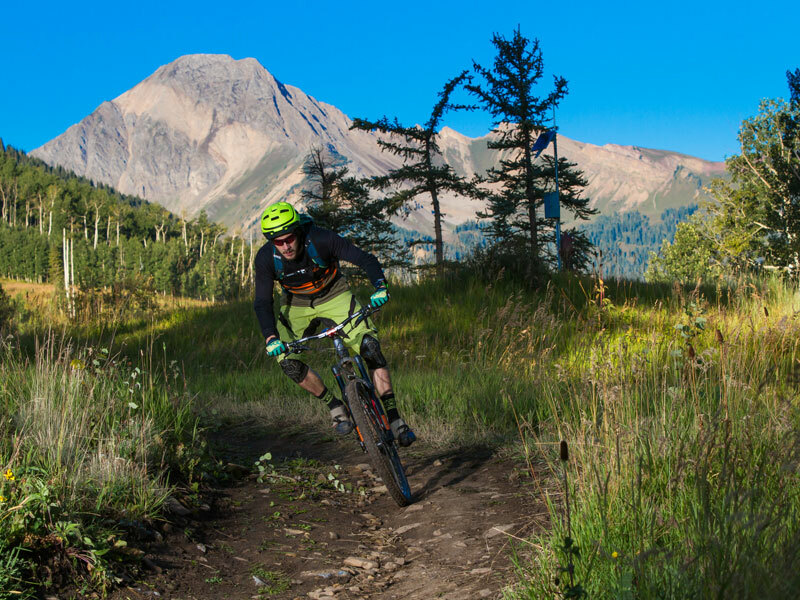 Boasting nearly 3,000 vertical feet of purpose-built downhill trails to suit every riding level. 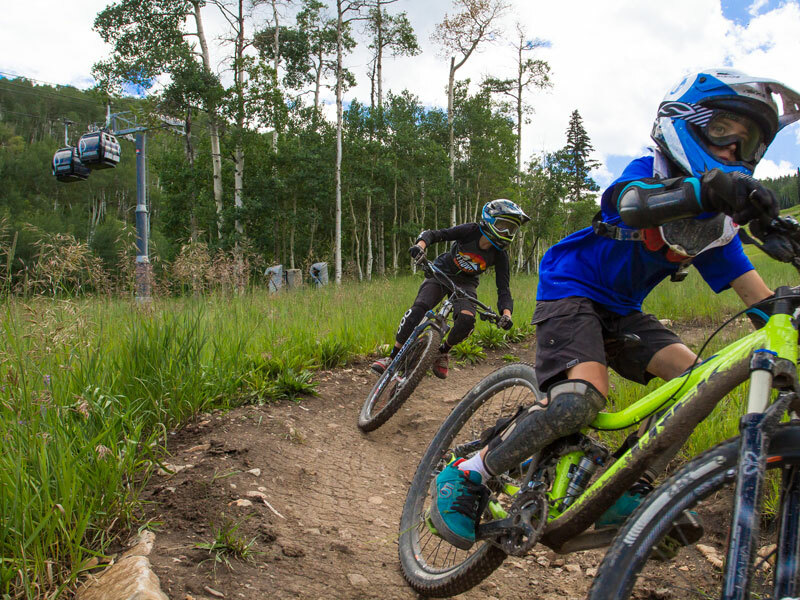 Test your skills on big jumps and multiple technical trails including the three V’s: Viking, Vapor, Valhalla or improve your ability on the beginner trails with berms and rollers. 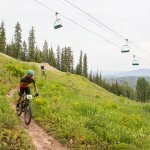 Opening for the 2018/19 season, expert riders can now challenge themselves on the new long flow trail that sprouts off the lower section of the Valhalla trail. 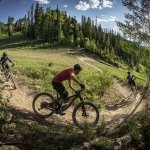 Snowmass Bike Park has it all. 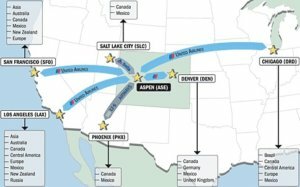 Located in western Colorado, Aspen Snowmass is the epicentre of adrenaline with Snowmass Bike Park. 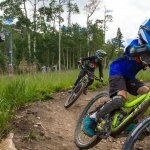 Offering over 80kms of lift serviced Downhill Mountain biking from the top of the Elk Chairlift and Gondola to Snowmass Village in the stunning Rocky Mountains. 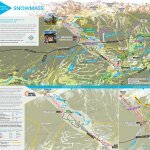 Snowmass provides a skills park located at the top of the lift giving beginners the chance to practice their skills before descending down the mountain. 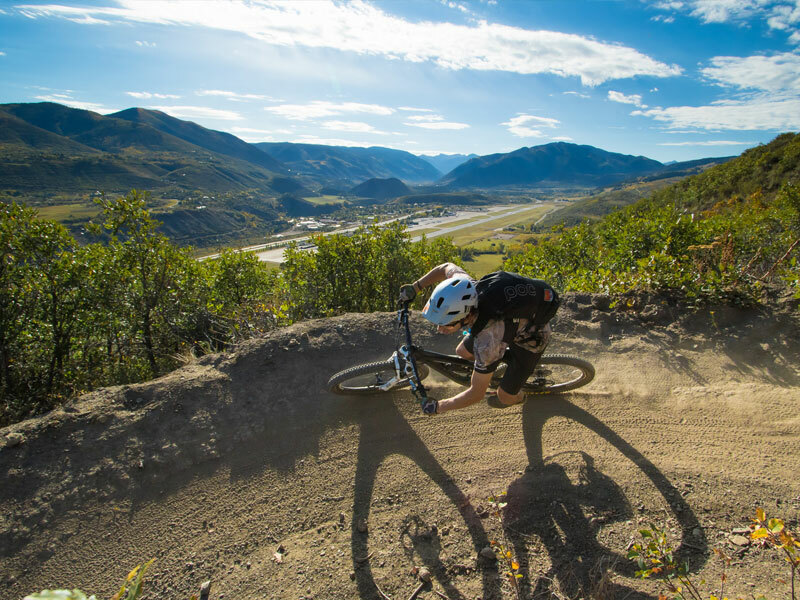 Offering diversity for every mountain biker style and skill level, Snowmass bike park is fast becoming a Colorado favourite. 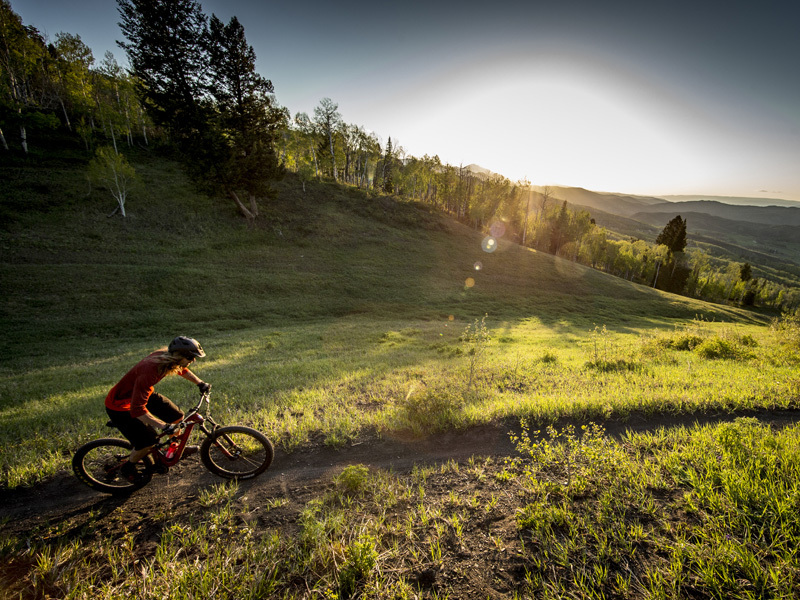 Whether you are after gravity-defying downhill trails, relaxed singletrack through meadows bursting with wildflowers and access to the cross-country trails, Snowmass offers some of the best mountain bike trails in Colorado. 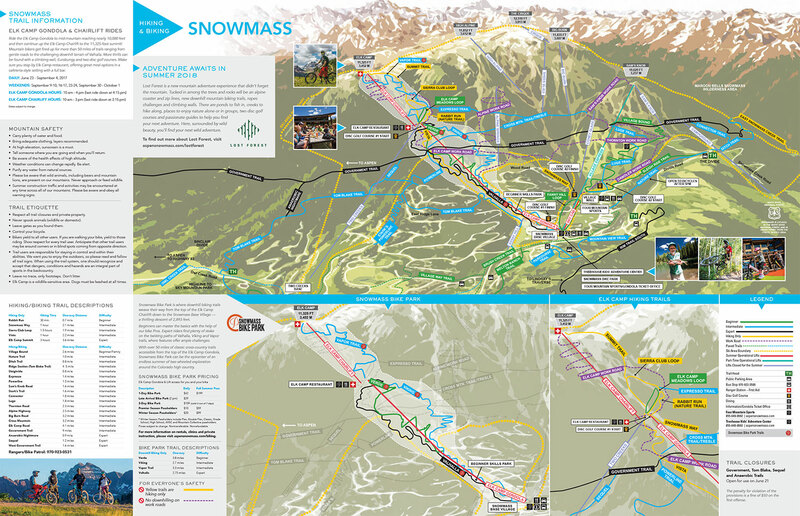 Starting at the top of the Elk Camp Lift the Vapor trail offers a rocky terrain with a 1,400 foot vertical drop. 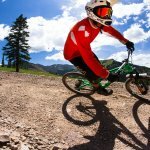 Featuring terrain through a vast meadow technical features include bridges, berms and table-top jumps while providing stunning views of the surrounding valleys. 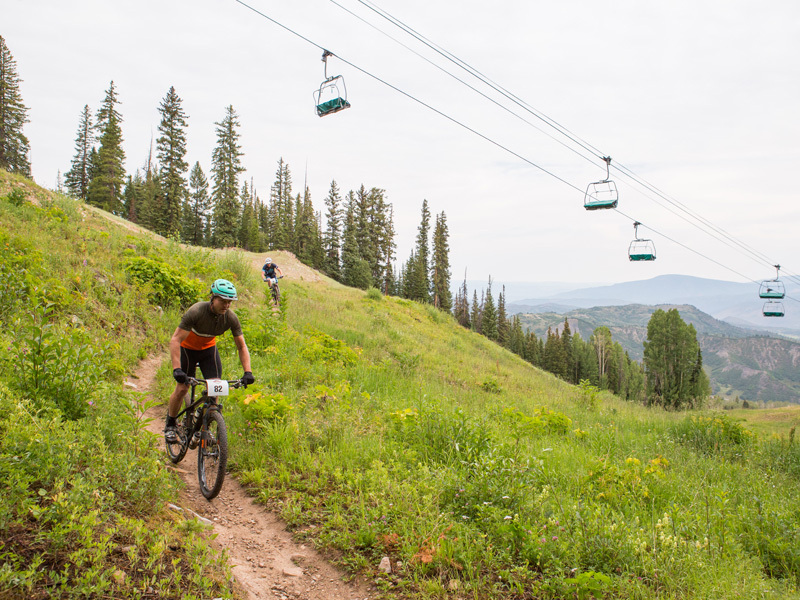 The trail eventually ends at the top of the Elk Camp Gondola allowing you to access the trails in the lower area of the Snowmass Bike Park. 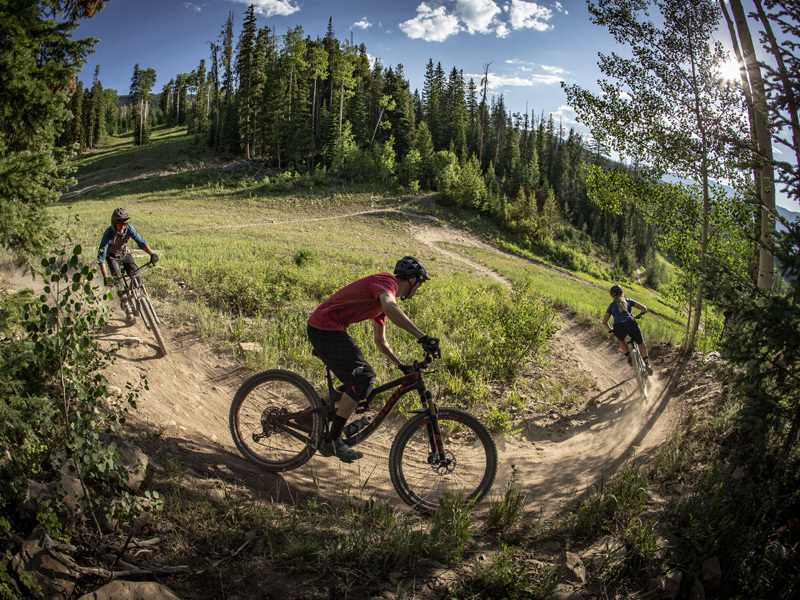 This original freeride trail in the Snowmass bike park is here to challenge your skills. 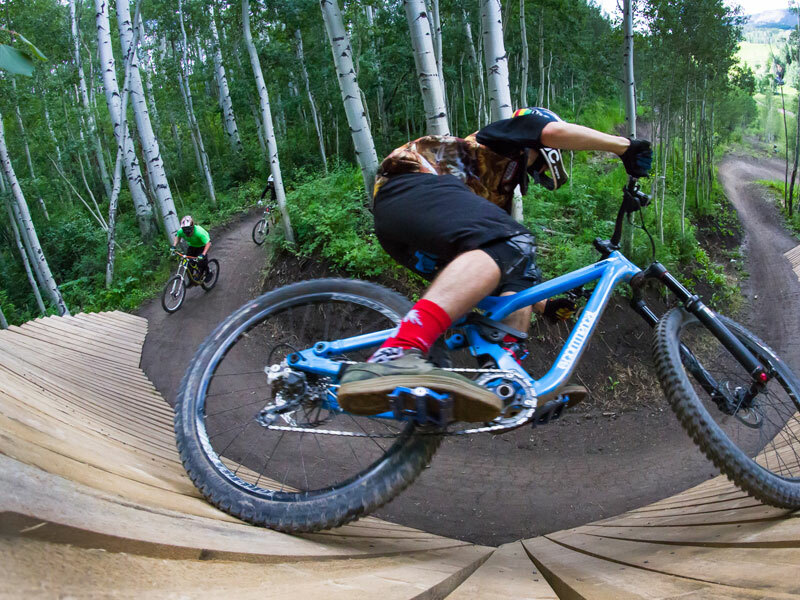 Winding through the aspen forest is contains numerous features including step-ups, wooden features, berms and table-tops, with some of the table-tops being massive, make sure you have correct technique before taking on the Valhalla. 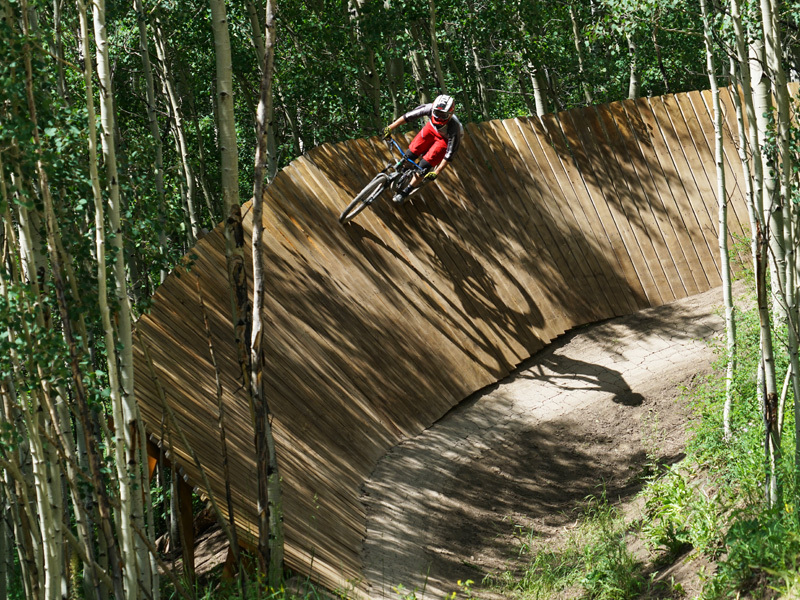 As a stepping stone for Valhalla, Viking is a freeride trail through lush forest and the aspen trees featuring boardwalks, rock features, bridges and jumps. This easy going trail is designed to help you build confidence ready to take on the expert trails. 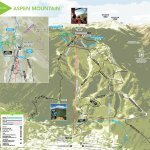 Designed as a beginner track this super fun and smooth trail only offers a few tight turns as challenges along the way. 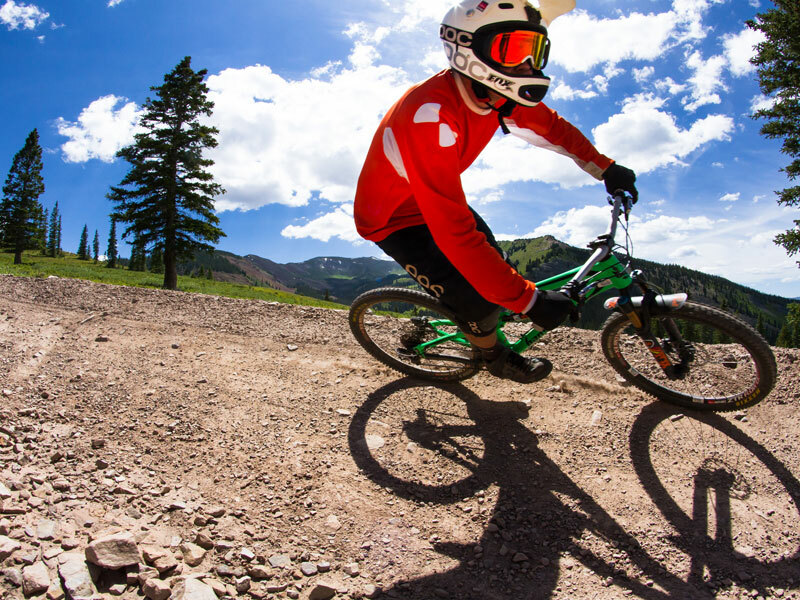 Verde is perfect for kids, first timers and intermediate riders wanting to work on their skills. 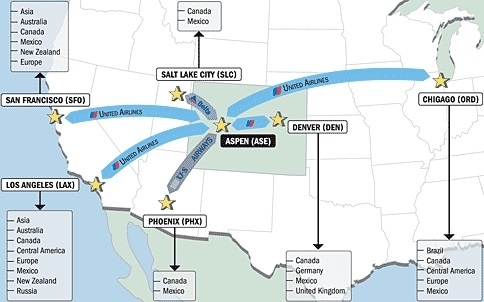 Aspen has a variety of accommodation options to choose from.